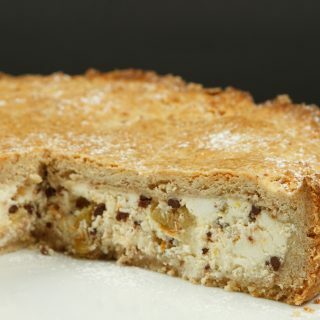 For one of the best apple cakes, you'll ever have try my Torta de Mele! 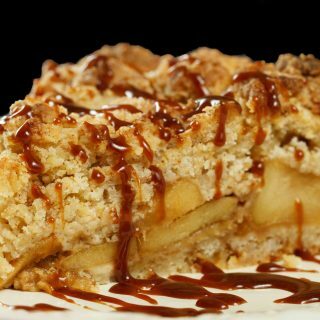 An apple butter cake will go perfectly with every meal or just as a snack! 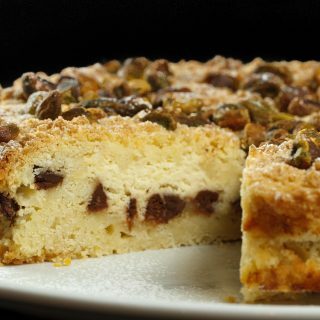 My Torta di Mele is one of the best apple cakes you’ll ever have. 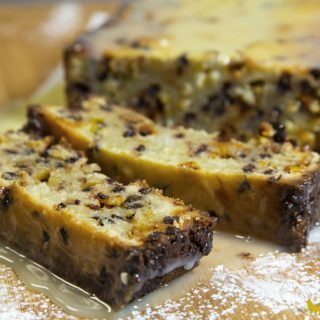 Today it gives me great pleasure to share with you a recipe taught to me by Mama Jeanette many years ago, it’s one of my favorite desserts, and it’s also one of the most reliable recipes I have. The weather had changed that morning, it was the kind of day that really made you appreciate being alive. The air was cold and crisp, the cold wind held the scent of ripe apples from the nearby orchard, each breath felt like a gift from God. Mama Jeanette said “Sonny Boy, let’s go pick us some apples” My mind went directly to a deep dish apple pie, but Mama Jeanette had other plans. As I peeled the apples she explained we would be making a Torta di Mele, she went on to explain it was her mother’s recipe for an Italian Apple Cake that had been passed down through her family for generations, and now she was giving it to me. 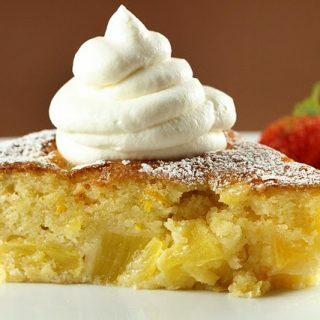 That afternoon we sat by the fireplace, with a warm slice of apple cake and an espresso, it was a glorious day to be alive……and today my friends I’d like to pass along Mama Jeanette’s family recipe for Torta de Mele…….enjoy! If you love Italian desserts, make sure to check out my Tiramisu recipe. In a small bowl mix together flour, salt and baking powder. In a large bowl beat the whole eggs and egg yolks until blended. Add the butter, sugar, vanilla and lemon zest. minutes. Invert cake onto plate to remove the pan and then invert again and return to rack to cool completely. 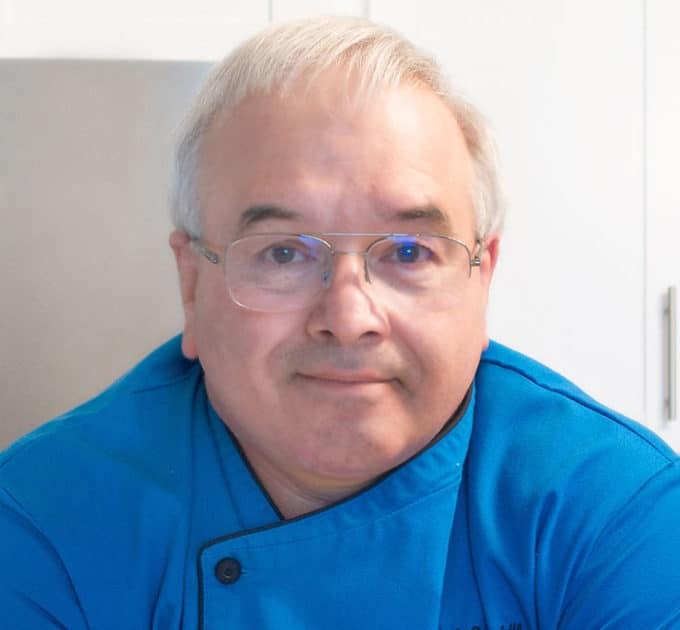 Chef Dennis – I fell in love with this recipe a year ago and it is great for small dinner parties. It is truly addictve and the cake is so much more than the sum of the individual components. My son is having a large gathering and we were wondering if 1. It could be made in a square pan or 2. A larger rectangular pan. Once again I seek your guidance. Thank you! Mine was not this tall, but was absolutely delicious. Great, easy dessert for guests, or a snack with a cup of tea or coffee. Thanks for a great recipe. I made this apple torte this afternoon for a last minute casual dinner with friends. I got it in the oven in about 15 minutes. It did not puff up much in the middle, and because I was in a rush, the bottom stuck to the pan. I decided to serve it right from the baking pan after dusting it lightly with sugar. It was so delicious and reminiscent of an apple cake from a fine French bakery, not too sweet and almost a custard like consistency. Next time I will be sure to grease the bottom of the pan better so I can serve it on a beautiful paper doily accompanied by some sliced strawberries or raspberries. Thanks for another wonderful recipe! This recipe sounds very good. 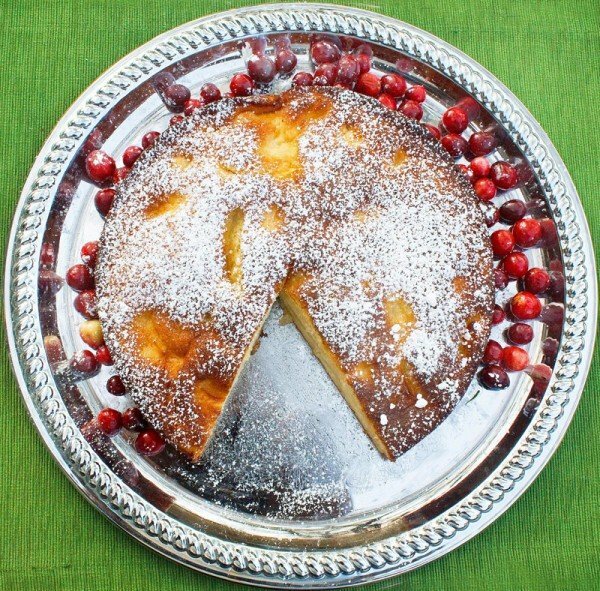 What type of apples would work best in this cake? I was thinking of using Royal Gala apples. Thanks! Wow, Chef Dennis what a wonderful experience for you to be part of the Chef Hangout. So sorry I missed this….I must have been on my way to the airport by then. Can I catch this on a video you have tucked away somewhere? Or on YouTube perhaps? Anyway, thank you so much for your great Guest Post and sharing the Torta Di Mele recipe. This was a superb and easy cake to make. 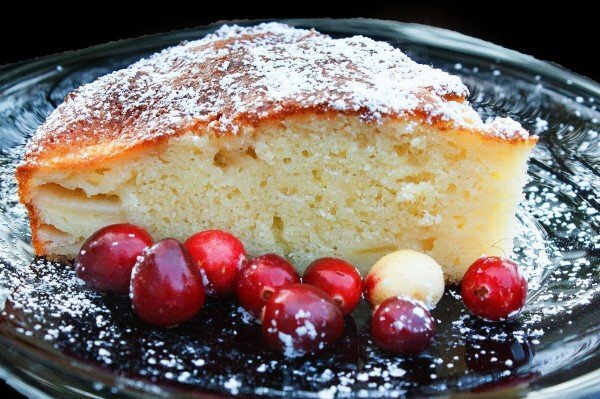 I baked this cake while I was visiting family overseas….it was a hit! My family loved it and in fact, kept asking me to bake it again and again. And when I got back here to NJ, I baked it again for my family. Again, a big success. Thanks so much! Your help on the blog was much appreciated! This looks so yummy! All it needs is my almond crumb topping! That cake looks so light and refreshing! What an exciting new venture! 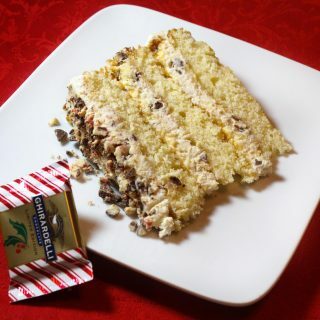 The torte looks amazing….oh yum..
That cake looks so good… don’t tempt me because I may end up making it this weekend! Congrats , Chef !!!! We’re so proud of you 🙂 And that cake looks really yummy ! Hey Mister Magoo, I shall join you to hang out and get advice tomorrow. Was hyper busy today. Off to see your guest post. Hope you are well. Toodles. Congratulations! I just checked the website – looks cool! How wonderful to be a part of bunch of talented cooks. Good luck! I saw this post on Elizabeth’s site. I hope to try it someday soon! Chef you killing me! this is not on my eating plan. It looks positively perfect. Hugs from WDC area.